Special occasions are a big part of any Irish person's life and we proudly provide Celtic goods and Irish holiday gifts to enhance the experience for yourself or your loved one. Of course, you can find that perfect Saint Patrick’s Day gift from our shirts, mugs, décor, hats, and more. Anniversaries are very important and require persistent and hard work, and our Irish anniversary gifts will let your partner, friends, or family members know you appreciate them and the work they put into the relationship. We have gifts and goods for different Irish holidays. From ornaments and books, to Christmas cards and home décor, celebrate Christmas in Irish style with our Irish Christmas gifts. We have Irish Easter gifts like jewelry with Celtic symbols and a plush lamb. 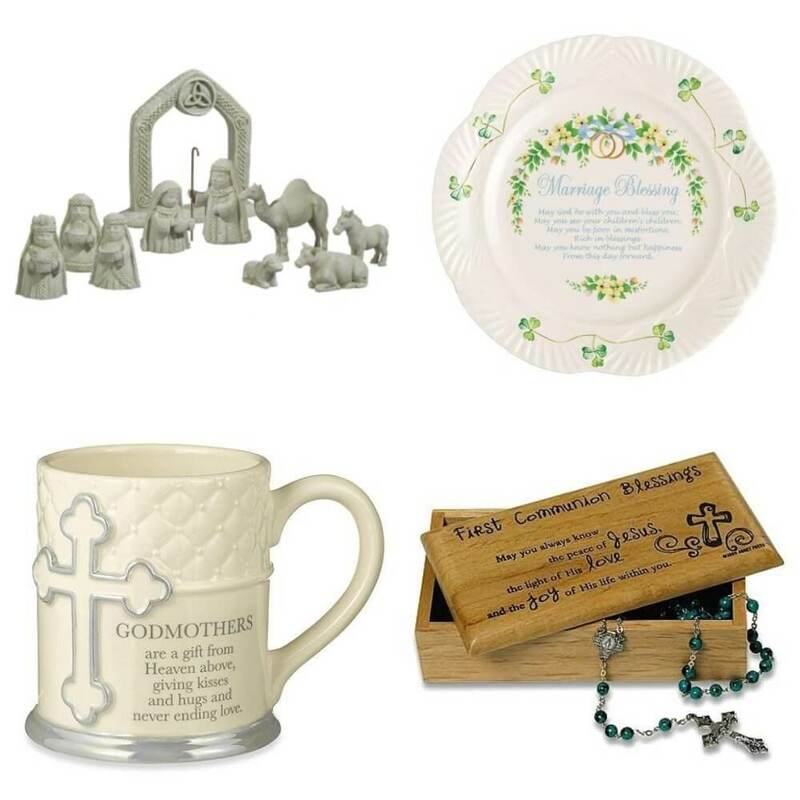 For the wee one in your life’s christening, we have baptism gifts. After baptism comes their first holy communion, and have wonderful first communion gifts. When they get a little older, they can make their choice to stay in the church and for that, get them one of our confirmation gifts.